The seasons are changing which makes it a perfect time to start your GliSODin Advanced Detox. Never tried GliSODin detox before? Here is what makes it so different from any other detox product on the market and why it is important to detox. Most other detox products have a laxative in them which forces the toxins out, but GliSODin eliminates toxins progressively rather than aggressively. Detoxing is important because it helps rejuvenate and energize the body eliminating harmful toxins to promote healthy digestion, clear healthy skin, optimize health and even assist in shedding a couple of pounds You will really enjoy the post detox benefits of increased energy! new technology and products that will help you live and age well! Which is exactly what we found a year ago when we first introduced our clients to NuSkins Galvanic Spa Treatment. The Galvanic Technology has been around for decades in the Spa industry, especially in Europe, but the in spa machines were cumbersome to use; however, with the hand held device the power of Galvanic is amazing and the results on the skin are dramatic, non-invasive and easy to use! Call us to book your appointment 604.469.2688 or to find out more information. Spring tips to help you look and feel your best! During the spring season we do not require as much moisturizer like we do in the winter months. Using a hydrating cream and applying it under make-up is aso a good idea. Why not come in to Skindulgence and check out our amazing selections of products that will strengthen, soothe and balance your skin ~ making you look and feel great ~ Don't forget as the days get longer, the UV index is higher so remember you sunscreen daily! # 2 Shed your winter skin. Our bodies slow down in the winter -and so does the exfoliation process. We need to exfoliate away those ugly dying cells in order to reveal younger plumper skin. 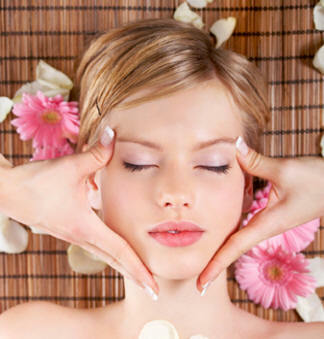 Why not give us a call, or come in, to check out our body exfoliating treatments! Your skin will be more vibrant, smoother, and healthier! # 3 Pop a Supplement. Nourish you hair, skin and nails from the inside out with supplements. GliSODin Skin Brightening Formula protects the skin from sun exposure and environmental stresses, reduces skin reddening and promotes healthy, beautiful skin. Or the Advanced Daily Formula helps to reduce signs of aging, rejuvenates and hydrates the skin, reduces fine lines and maintains structural integrity of skin and collagen. than meets the eye. Regular facials can help with; improving the immune system, reducing puffiness in the skin, and improving oxygenation, and stress relief. These benefits are achieved in a facial that incorporates lymphatic drainage, exfoliation, and facial massage, which is included in all of our GM Collin and Yonka facials. Follow us on Facebook for daily tips and promotions! March 20th brings us the first day of spring which gives us hope to have less than 5 days of rain in a row, joy to see all the trees and flowers start to bloom and give the city some colour, and happiness because it's time to plan our summer vacations. Like always Skindulgence is here to make life easier, and help to relax and rejuvenate you, so why not let us help you look and feel your best this summer with result oriented body treatments and hydrating, anti-aging, and corrective facials. Let us help you feel confidant in those short shorts and give you the glowing and clear skin you deserve so you can go foundation free and feel great about your skin. GM Collin was the exclusive skin care provider for the 2011 Golden Globe Awards for the stars walking the Red Carpet. Read more and check out the excitement !! 2) "Trade in, Trade up!" When you bring in any 2 products from another skincare line that are at least half full , we will donate them on your behalf to the Women's Shelter. *Not valid with other promotions or gift certificates. "Women can do what men can do, but better, backwards & in high heels!" One of the reasons so many women look older than their age is because they don't exfoliate properly or regularly. Alpha-hydroxy Acids (AHAs) are one of the most efficient ways to address numerous conditions of the skin including the aging process (including fine lines and wrinkles), enlarged pores, uneven skin tone and pigmentation and scar tissue. In-spa clinical treatments are done once a week for four to six weeks (depending on the condition of the skin) this short protocol is a fantastic way to jump start your skin on its road to vitality. You will notice your skin softer, your pores will be refined and the color, texture and tone will improve. Your make up will go on smoother, your skin will be more responsive to treatment products and you will have an instant glow. While doing the clinical protocol clients need to be using an at-home AHA cream/gel. Daily sunscreen is recommended during treatment and suntan beds should be avoided. Please advise your skincare professional if you are on medication -- topical or oral -- prior to getting treatments. © 2011 Skindulgence The Urban Retreat Ltd. All Rights Reserved.